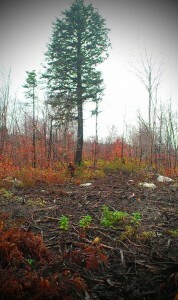 Summer/Autumn 2013: My brother lives in Medway, Maine and spends a great deal of time in the north Maine woods. Hunting, fishing and working; he spends a majority of his time in the broad wilderness area around Mount Katahdin. 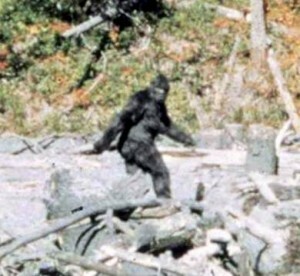 He was driving along the Grant Brook Road (map below) and saw this… Bigfoot or Pomoola or Sasquatch or… Whatever it is. Unfortunately, he didn’t have his camera so this was only taken with his phone. 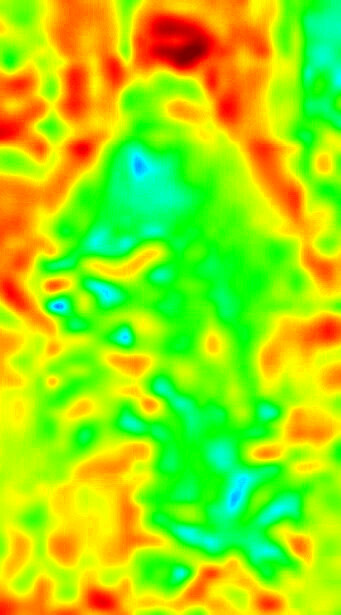 Picasa “Heatmap” version of the Maine Bigfoot photographed by Tim Pasanen. 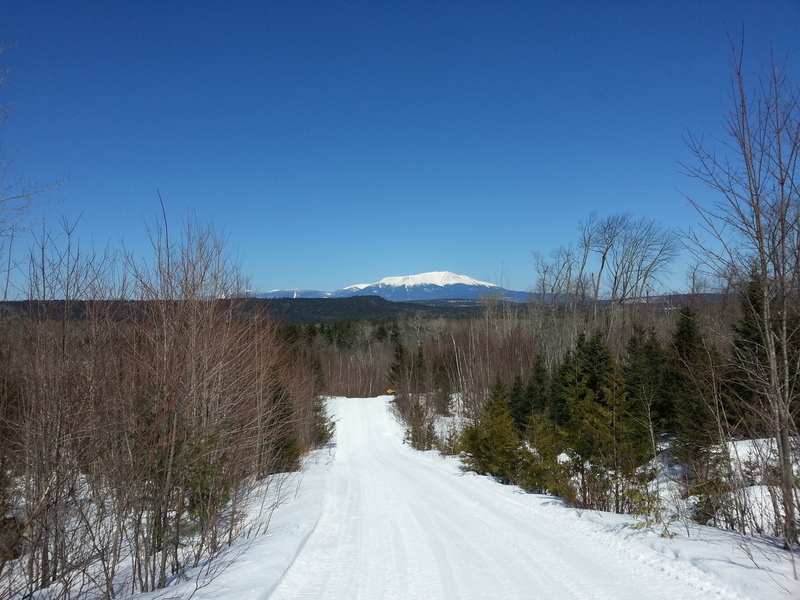 This was shot northwest of Millinocket, Maine in the Debsconeag Lakes Wilderness area. Just a bit south of Baxter State Park. 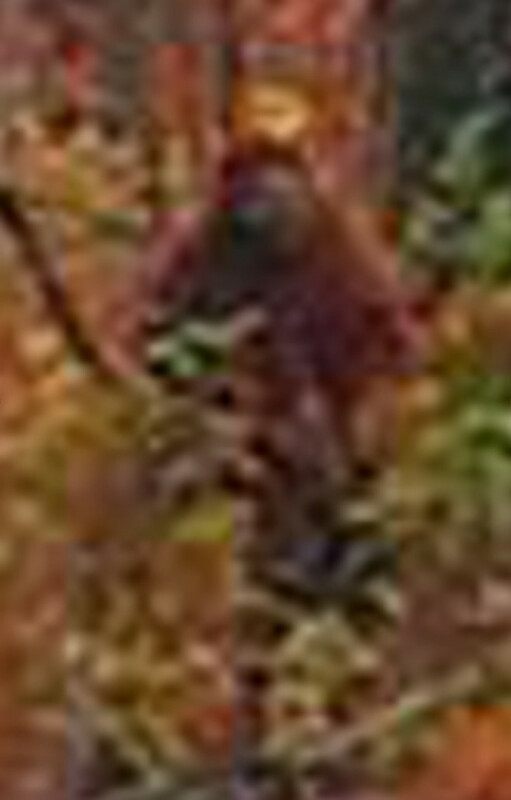 Zoomed in version of Tim Pasanen’s photograph of Bigfoot in Maine. Can it be a squatch, tho? It sure looks like, something. 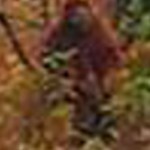 And, I did a bit of research with the links, below and found that the “wild men” of Maine were very often described as having red hair, which this one obviously does. Here are some other photos from the area taken by Stanley. 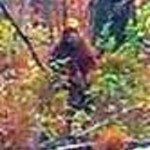 Sasquatch sightings in Maine. 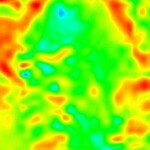 Historic bigfoot or Pomoola encounters. 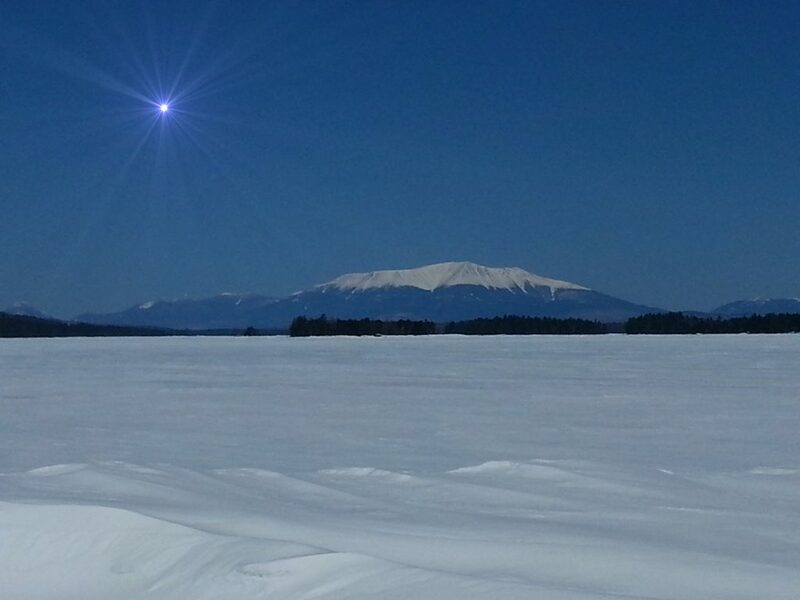 If you have photos, videos, stories about the Maine Bigfoot or “Pomoola” please email info@mt-katahdin.com. Pomoola sounds slightly reminiscent of the word Pamola which is known to have been a legendary bird spirit that appeared in local Abenaki mythology. 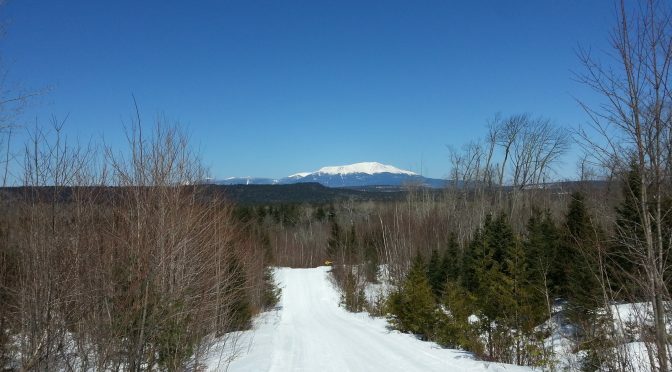 This spirit causes cold weather and was believed to be the local “God of Thunder.” The word, Pamola, is still quite prevalent in the area of Millinocket and Katahdin. The next peak along the knife’s edge from Mount Katahdin’s summit is “Pamola Peak.” There is the Pamola Motor Lodge in town. And let’s not forget Pamola Xtra Pale Ale from the Baxter Brewing Co. in Lewiston, Maine. Obviously, quite a powerful word from the native tongue to have survived with such common usage to this day. 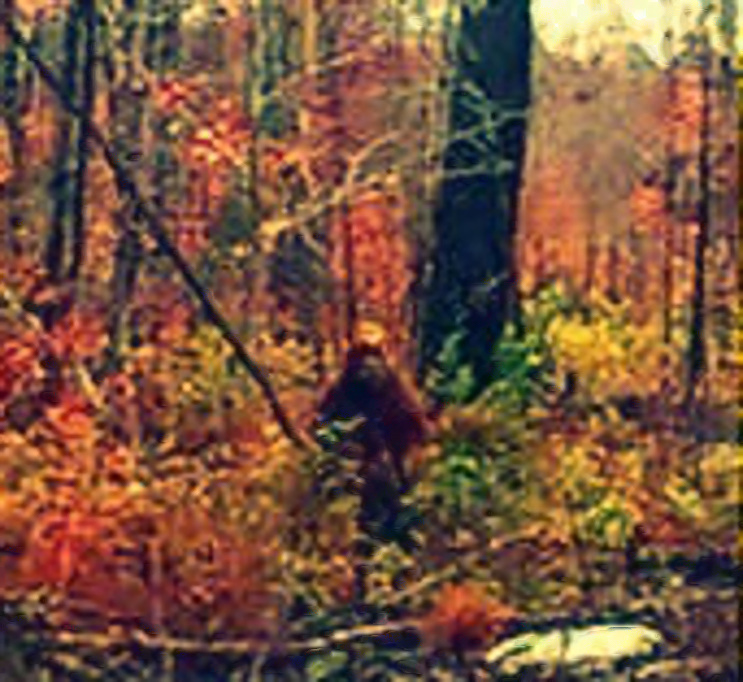 “The first sightings of the 1800’s that were reported and documented in the State of Maine occurred in and around the Mt. 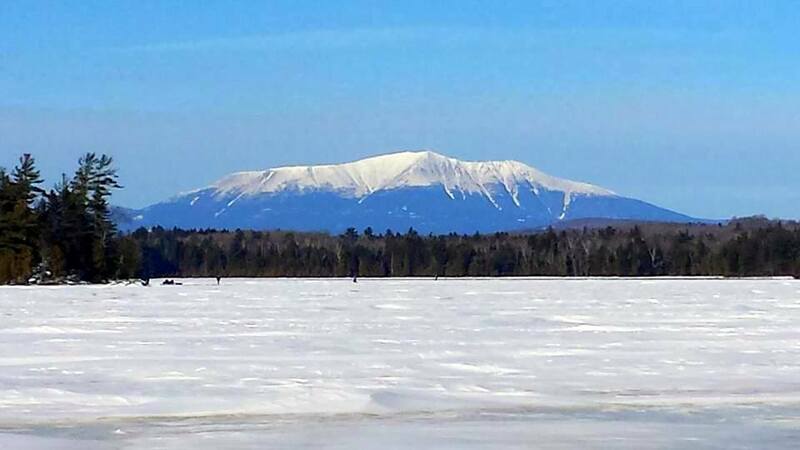 Katahdin area, what is now Piscataquis County, Maine and is located north-northwest nearby communities of Millinocket and Moosehead Lake region. The famous Appalachian Trail ends in beautiful Baxter Park at the highest elevation of just over 5200 ft., atop of Mount Katahdin. The source of these reports came from a book titled “Camping Out” The book was published in 1873 and was authored by C.A. Stevens, published by The John C. Winston Company of Philadelphia, Pennsylvania. The original copy of this ancient book is owned by Chris and Amy Julian who have graciously shared the information in their book. 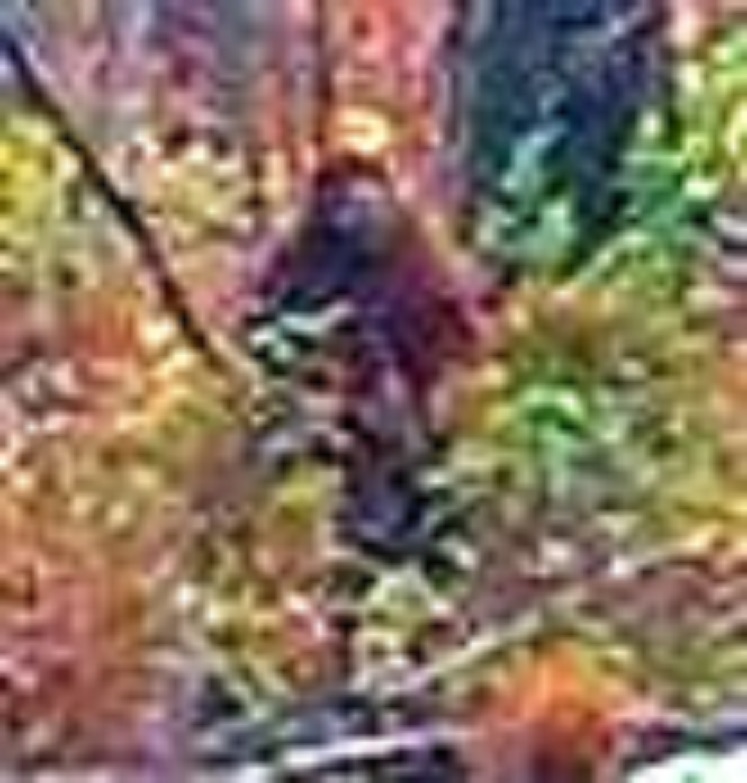 Here is the complete Maine Sasquatch Sightings list! 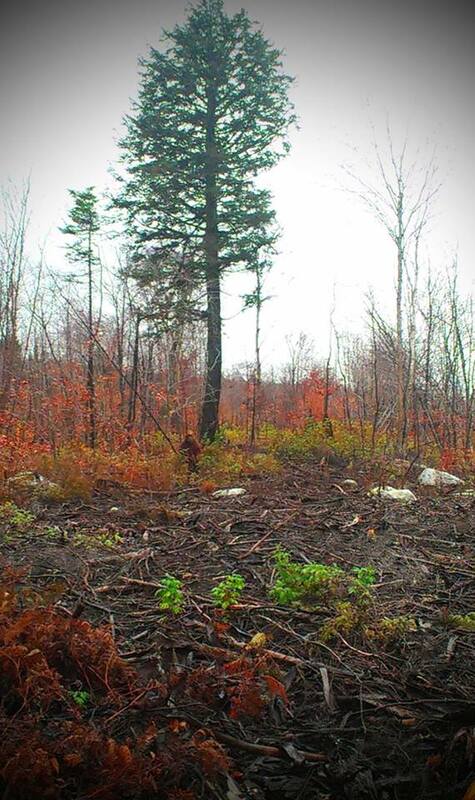 Here is an article from the Bangor Daily News about an encounter in the 1800s.